Bike Week 2015 is encouraging people to use their bikes to cycle to work. Our Estates management record (EMR) collects information about the total number of cycle spaces at higher education providers and an estimated percentage of students and staff who travelled to and from their providers by bicycle. 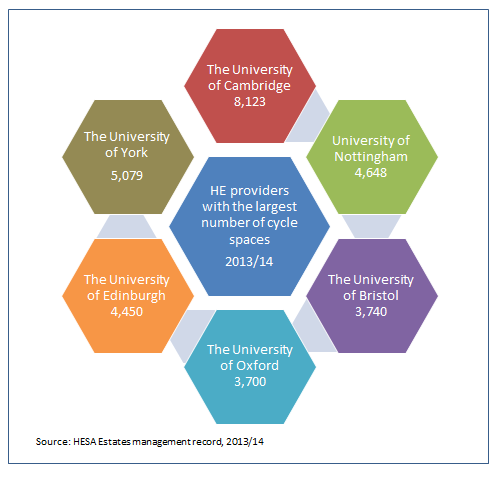 Note it is not mandatory for providers to return this information to HESA but in practice the majority do (149 of the 159 returned data in 2013/14). In 2013/14, 149 HE providers returned data about the total number of cycle spaces for their whole estate. 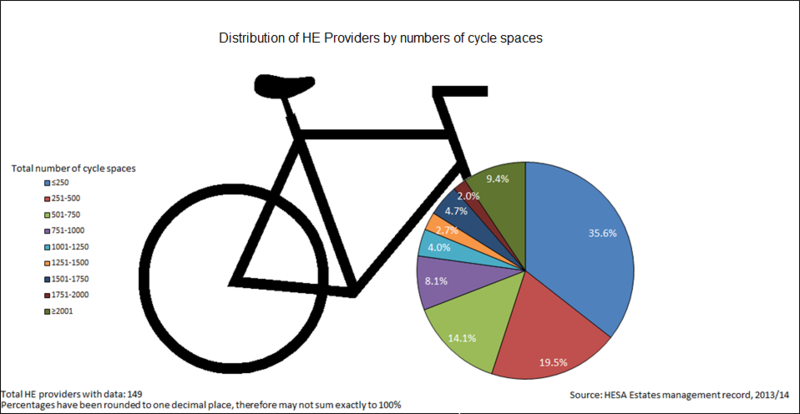 The total number of cycle spaces varied between HE providers: 35.6% of HE providers had 250 or less cycle spaces whereas 9.4% of HE providers had more than 2000. The University of Cambridge had the largest number of cycle spaces, 8,123 in total. 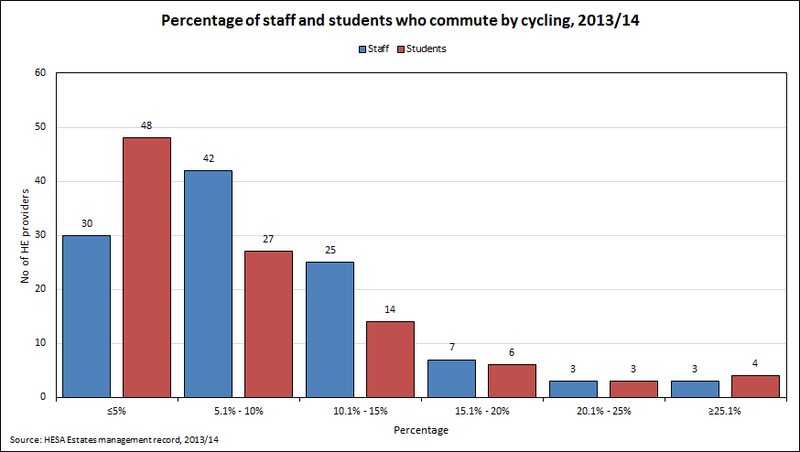 In 2013/14, 110 HE providers returned an estimate for the percentage of staff who commuted by bicycle and 102 providers returned an estimate for the percentage of students who commuted by bicycle. The majority of providers estimated that less than 15% of their staff or students commute commuted by bicycle.